We believe in forming alliances with like-minded organisations as it reflects our desire to achieve our independent business objectives cooperatively. Our partners are committed to provide the highest quality of service to improve and build businesses whilst mitigating risk. It is our aim to provide services that prevent bad and unethical practice, detect “red flag behaviour”, evaluate risk as it occurs and respond as appropriate. 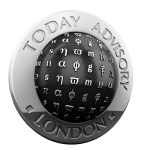 Today Advisory – UK and Europe. Today Advisory are a UK Based Asset security consultancy with an international network of safe, trusted, independent experts and the highest levels of security and integrity. They are ISO9001:2008 Certified, registered with the UK Information commissioner and have sole rights to their ISO-accredited QCS+ project management software. All of their staff who work on secure projects have been vetted and security cleared. Fortis Academy – Asia Pacific. Partnering with reputable and qualified trainers who are able to provide relevant and affordable courses and teach them in an easy-to-understand manner. Drawing from the Fortis group of companies’ network, courses, programmes and seminars are well-researched, current and insightful in addressing critical issues facing businesses and individuals today. Their team of trainers consists of leading experts across many different industry sectors, offering participants practical insights and resources that are immediately transferable to the workplace. The ATRIM Group – The America’s. The ATRIM Group specialise in the Protection of critical infrastructure and personnel through science and education. CFIL together with Meta Centre Consulting are pleased to be supporting with the roll-out of the ATRIM Groups AdvanceGuard programme which utilises behavioural and crime prevention science information to help organisations accurately assess the risks and effectiveness of current efforts to prevent point-of-contact attacks from false personation. Dana(Rick) Rodden, Director of Metacentre Consulting has specialsed in tailoring advanced investigative interviewing training programs for a broad spectrum of corporate and regulatory agencies for 28 years. He has designed and conducted over 2,000 seminars and in-house training programs in ethical investigative interviewing methods and in statement analysis. He is recognized for his forward thinking evolutionary approach, dynamic presentations, in-depth knowledge of human behaviour, and commitment to update his programs with the most current research and practices. Amicus specialise in the prevention and mitigation of risk attached to critical incidents through interaction and education. They have an enviable track record of working in a number of jurisdictions and across legal systems. Their world-class talent coupled with an international reputation and reach ensures that they can deliver a truly global service. Their portfolio of clients includes public and private sector firms operating across several countries and regions, as well as international organisations and government bodies. 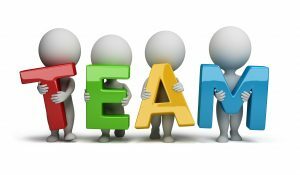 We are confident that working with our strategic alliances we are now best placed to offer high quality responses which assist in preventing, detecting, evaluating and responding to all types of risk which will significantly improve organisations of all sizes and types.